LCWA recently helped AASM and the National Healthy Sleep Awareness Project with a successful Twitter chat to raise awareness about the dangers of obstructive sleep apnea on heart health. Left untreated, this common and severe sleep disorder can be devastating to heart health – more than doubling the risk of dying from heart disease, according to recent research. 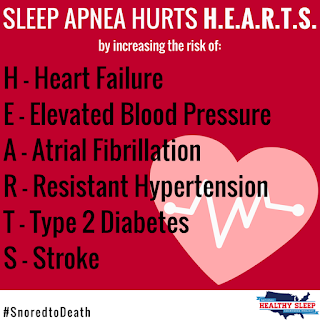 With this staggering disease in mind, LCWA coordinated efforts for the #SnoredtoDeath Twitter chat with several partners, including the Centers for Disease Control and Prevention, the Sleep Research Society, the National Heart, Lung and Blood Institute and the American Academy of Dental Sleep Medicine to participate and help lead the conversation about ways that obstructive sleep apnea damages hearts if untreated. Additionally, Wall Street Journal health columnist Sumathi Reddy moderated the online discussion. The #SnoredtoDeath Twitter chat achieved more than two million timeline impressions, and provided a great opportunity to share messaging about how sleep apnea hurts hearts.